April is National Garden Month! Incorporating native plants in your landscape can provide color and save water at the same time. “Native plants have adapted to withstand the Panhandle-South Plains climate. Not only are they accustomed to our dry, hot weather -- but native plants are an important component of our regional ecology. They can help support pollinators and other wildlife,” says Education/Outreach Coordinator Katherine Drury with High Plains Underground Water Conservation District in Lubbock. She is also a Texas Master Gardener. “HPWD would like to share some favorite native plants that are beautiful and have low water requirements,” she said. American Basketflower is a striking Texas native. This beautiful purple wildflower often blooms along roadways in spring. “Basket flower” refers to the straw-colored bracts beneath the flower head. Although it resembles a thistle, it lacks their prickly characteristics. Blackfoot Daisy can be found growing during the driest and hottest of years. Local horticulture experts reportedly found a mound of Blackfoot Daisies during the 2011 drought. These little flowers grow in low mounds and are perfect for flower beds. Chocolate Daisy is native to the southwestern United States and Mexico. Not only is it a beautiful, drought-tolerant perennial, but it actually smells like chocolate! 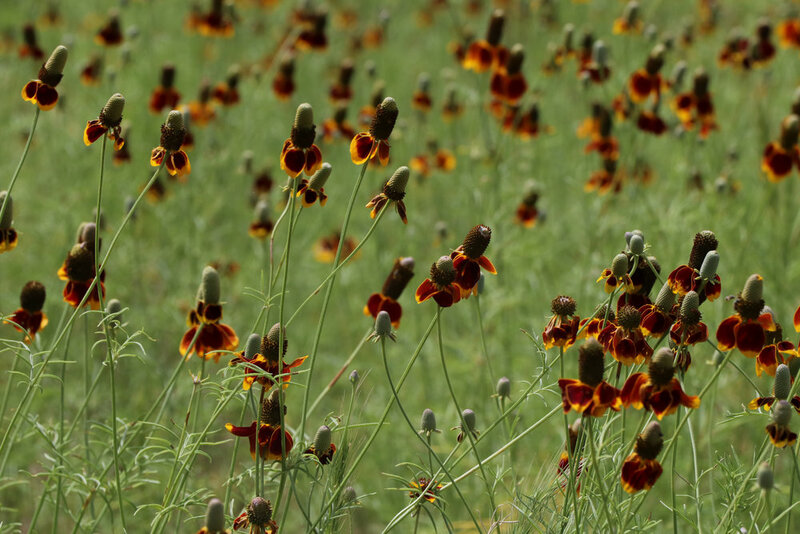 Prairie Coneflower can be found across Texas. It is a quick and aggressive grower that is easily started from seed. If you are growing these in your garden, allow the plants to go to seed after flowering ceases in Autumn. You can then collect the seeds or mow down the stalks. 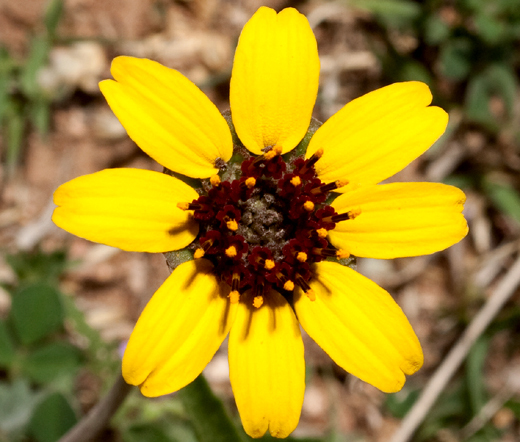 Tahoka Daisy is native to the Texas South Plains. It was first discovered in 1898 at Tahoka Lake. The Tahoka Daisy, also called Prairie Aster, is an annual wildflower that prefers sand or gravel soils in full sun. “These are just a few of the native plants available for local landscapes. Homeowners should consider using plants that flourish in high temperatures and low rainfall conditions,” says Drury.